So you are in the middle of the situation when you have to use or submit your document or file and accidently you have deleted completely from your Linux PC, or something like this. You know that when you were using windows then you can search and find the plenty of freeware, shareware application that can easily recover your files. But it’s a tedious job to find the one for your Linux environment. But remember, your files can be recovered from the location, where no other files have been saved because probably have overwritten those deleted file (Means Completely loss). 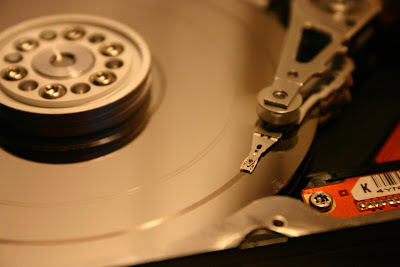 So make sure that deleted file should be recovered as soon as possible. 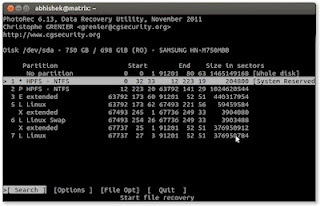 And try best not to put any single file on that partition; this will make better chances of file condition. PhotoRec is the Free and open source application that allow you to recover the files from your hard drive, flash drive, Digital camera, CD/DVD ROM. Not only this, it deeply look into the file detail and can recover your files on the bases of the file type used, like your Documents, Music, Videos, photos etc. This Application is powerful enough that it can work on almost all type of file system even when the file system is damaged or formatted and this makes the best data recovery tools for Linux. Let’s get started. PhotoRec can be easily downloaded from the Official site or say passing the following commands in your Terminal. Enter the password when Prompt. This application is not of more size than 700 KB, so it will not take more time even in your slow connection. After it get install now we have to Start the Programme and Start recovering those files. You can use the Arrow key to navigate through menus and Enter to select your choice. 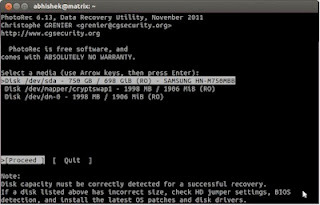 Firstly Select the Hard Disk from which you have to recover the Data. If you are having few partition then, you wont have any trouble, but if you are having lots of partition like i am using (9 Partition) you have to identify them either by their label or size. Carefully select this step and proceed. Now choose the output folder where your files will be saved after recovering, make sure that you select the different partition for this. After processing, all your files will be saved to those defined folder. Choose from those files. Sometime the filename will not be present, in that case you have to open the files to check and verify.